The New York Times bestseller from the author of A Homemade Life and the blog Orangette about opening a restaurant with her new husband: “You’ll feel the warmth from this pizza oven...cheerfully honest...warm and inclusive, just like her cooking” (USA TODAY). When Molly Wizenberg married Brandon Pettit, he was a trained composer with a handful of offbeat interests: espresso machines, wooden boats, violin-building, and ice cream–making. So when Brandon decided to open a pizza restaurant, Molly was supportive—not because she wanted him to do it, but because the idea was so far-fetched that she didn’t think he would. Before she knew it, he’d signed a lease on a space. The restaurant, Delancey, was going to be a reality, and all of Molly’s assumptions about her marriage were about to change. With evocative photos by Molly and twenty new recipes for the kind of simple, delicious food that chefs eat at home, Delancey explores that intimate territory where food and life meet. This moving and honest account of two people learning to give in and let go in order to grow together is “a crave-worthy memoir that is part love story, part restaurant industry tale. Scrumptious” (People). This reading group guide for Delancey includes an introduction, discussion questions, ideas for enhancing your book club, and a Q&A with author Molly Wizenberg. The suggested questions are intended to help your reading group find new and interesting angles and topics for your discussion. We hope that these ideas will enrich your conversation and increase your enjoyment of the book. 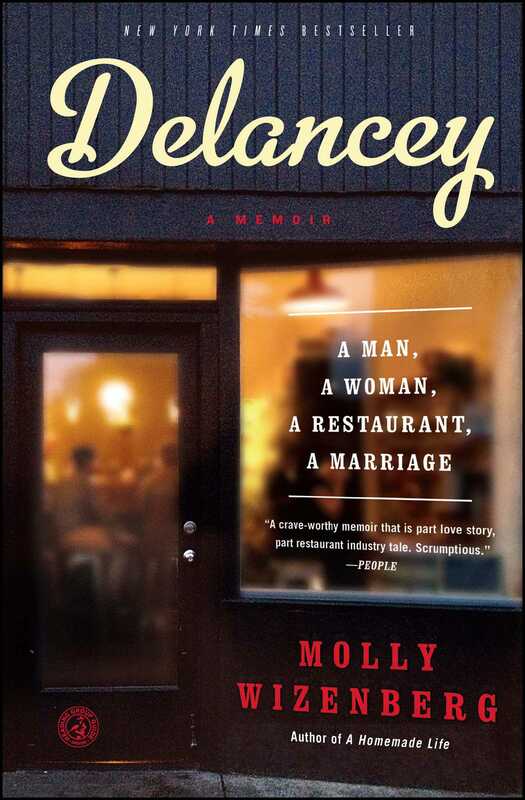 The follow-up to Molly Wizenberg’s New York Times bestselling memoir A Homemade Life, Delancey provides an intimate, honest look at the challenges and exhilaration faced by a newly married couple when they decide to open a restaurant. In the style of the first book, Delancey features personal recipes that were especially meaningful to Molly during this dynamic time in her life. Written in the smart, accessible style of her popular, award-winning blog Orangette, Delancey will have readers cheering for Molly and Brandon as they put their hearts and souls into the restaurant and ultimately learn they need let go of each other in order to fully live, love, and work together. 1. In the introduction Molly discusses some of Brandon’s early ambitions, including making violins, building a boat, and opening an ice cream shop. None of these ever materialized. After those nonstarters, why do you think Brandon went through with Delancey? 2. Molly freely admits that change has always been difficult for her. When attempting to fully engage in the restaurant process, she remarks, “I didn’t want my life to change. . . . But it already had. I hated that” (p. 107). Is Molly’s resentment only about change, or is it about the restaurant as well? How does Molly come to terms with change over the course of the book? 3. Both Molly and Brandon suffer emotional breakdowns, Molly’s on Halloween of 2009 (p. 178), and Brandon’s subsequent crisis after drinks with his staff (p. 186). Compare the two experiences. What was each of them truly upset about? In what ways did Molly’s breakdown affect her reaction to Brandon’s? 4. Molly and Brandon agree that they “wouldn’t be married anymore if (1) I hadn’t worked at Delancey and (2) I hadn’t stopped working at Delancey” (p. 193). What was the significance of her working there? What was the significance of leaving? What effects do you think these two events had on both their relationship and their business? 5. Brandon and Molly take on a great deal of risk to start the restaurant. Discuss an experience where you took a risk, either alone or with others. How did the experience turn out? What did you learn? 6. Molly often compares the act of cooking to a way of caring for someone. In the beginning of her relationship with Brandon, that act consisted of cooking for and with each other. With the restaurant however, that act became a more communal one, an idea she contemplated when her editor asked, “What will it be like for you and Brandon to make it public?” (p. 196). Discuss Molly’s thoughts about this idea through her poignant comment, “We would lose it” (p. 197). How does the act of caring for someone through food and cooking alter for Molly? For Brandon? Is that alteration permanent? Do you think they will ever get “it” back? 7. One of the prominent themes in the book is the transformative nature of the restaurant on Molly’s and Brandon’s lives, and Molly emphasizes that she has become a different person than she was before Delancey, often with a regretful tone. She admits, “I wondered when I’d go back to being the old, better me” (p. 197). By the end of the book, does she still mourn the loss of her old self? How does she view, even embrace, the new version of herself? 8. From Molly’s description, the restaurant business is rife with impermanence: food spoils, employees come and go, and restaurants can close in the blink of an eye for any number of reasons. How does this sense of transience add to the challenge of running a successful restaurant? How do Molly and Brandon cope with it? 9. Molly and Brandon had a tumultuous experience with their first pizza cook, Jared. What did this relationship, and its abrupt ending, teach Molly and Brandon about the business and themselves as business owners? 10. In what ways do you think Brandon and Molly’s experience starting Delancey would have been different without the help and support of knowledgeable friends? 11. Molly eventually accepts the fact that she does not have the right personality to cook at the restaurant, yet after quitting, she says, “I didn’t know what do to with myself” (p. 211). Contrast this thought with the opening Wendell Berry quote. How does this sentiment reflect Molly’s realization? What does it intimate about her path forward? 12. As novices in the restaurant industry, Molly and Brandon had to learn on their feet. How did the sometimes painful learning process help them identify their strengths and weaknesses? Without their flexibility to adapt to changing circumstances, do you think Delancey would have succeeded as it has? 1. Molly is very active on social media. You can check out her award-winning blog: www.Orangette.blogspot.com, follow her on Twitter: https://twitter.com/mollyorangette, listen to her podcast Spilled Milk: http://www.spilledmilkpodcast.com/, and see more of her beautiful photography on Instagram: http://instagram.com/mollyorangette#. 2. Plan your book discussion at a local pizza shop or other independent restaurant. If possible, arrange to speak to the manager or owner, and use that opportunity to find out what it was like to start the business. 3. In Delancey, Molly highlights recipes that are special to her and her family in some way. Have each member of the group bring a recipe to the discussion and explain why it is particularly meaningful. You can bring copies for each member and create a mini-cookbook. In this memoir, you share quite a bit about your life with Brandon. How did he feel about being such a large subject in your book? About the recipes included in the book, you wrote that they are “the foods we wished we were eating” (p. x). Now that Delancey and Essex are established, do you have time to eat more of the foods you like? We do! On a recent night off, Brandon pan-seared and roasted a couple of steaks and made two types of chimichurri to serve with them. Fancy! That kind of thing would have been unthinkable in the early days of Delancey, when we barely had the energy to pick up the phone and order takeout. And I’m back to making my own granola, something I started doing a decade ago but had no time for when the restaurant came along. It makes me very happy. Delancey marks your second memoir. How did your experience writing it compare to your first book, A Homemade Life? In some ways, it was easier. For one thing, I knew that I could write a book. (The first time, I wasn’t sure until I had actually done it.) But in other ways, this book was a very different challenge. The biggest hurdle to overcome was the subject itself: writing about marriage, and in particular the difficult parts of a marriage, felt a lot harder than writing about my father’s death. I mean, it’s not like death is any more talked-about in our culture than marital problems; both are uncomfortable topics, right? But everybody dies at some point, whereas not everybody has marital strife, or not that they’re willing to own up to. I feel much more exposed in this story. But I felt compelled to write it down anyway, because the process of writing helped me to understand it. You remark that small business owners in Seattle tend to be supportive of one another. Do you think this is the exception to the rule? Do you feel this is part of the reason for the success of Delancey? It’s hard for me to say whether the situation here in Seattle is exceptional—I’ve spent most of my adult life here, and I’ve never owned a business anywhere else—but my gut tells me that it is. One of the things that I love about Seattle is that this city is still young in a lot of ways, still figuring itself out. There’s still room here: there’s still the space and opportunity to do what you want to do. I don’t think we would have, or could have, opened Delancey if we were in New York or San Francisco, for instance; it’s just so much more expensive to get started there, and the market is more saturated. So, yes, I do think Seattle and its small business community is part of the reason for our success. Absolutely. What three pieces of advice would you give to others hoping to open their own restaurant? 1. Before you commit, work in a restaurant. Even if it means working for no pay, try it out. Make sure you understand all aspects of it and what it entails, and make sure you love it. 2. Draft a budget by making a list of everything you think you will need to buy and do, and then double it. That’s how much it will probably cost, in reality. 3. When hiring, call references. Whatever you do, call references. Many of your readers have probably left restaurant reviews on Yelp. As of this writing, there are almost 300 Yelp reviews for Delancey, with the vast majority of ratings being 5 out of 5 stars. What is your perspective on Yelp as a reviewed business owner? How do you feel about the very few dissenting comments? I haven’t read our Yelp reviews in a few years. Brandon reads them, and so does our staff, but I can’t do it. Whenever I do cave and read them, they make me feel incredibly nervous and vulnerable, both the positive ones and the negative ones. But in general, when it comes to any kind of feedback, what I try to remember is something my brother David once told me: believe the good, learn from the bad, and ignore the ugly. Have you ever experienced pizza fatigue? Only very occasionally, and it hasn’t lasted long! I still eat pizza a couple times a week. If it’s any indication, we eat it often enough that pizza (“PeeeeeEEEEEEEE-thza!”) was one of our daughter’s first two-syllable words. You write, “When I would tell people about what our days were like then, they would often say that it sounded a lot like having a newborn baby” (p. 150). Not long after Delancey opened you had your first child. How did the two experiences compare for you? We opened Delancey in the summer of 2009, and three years later, we opened a bar next door called Essex, and three weeks after that, I had a baby. It was nuts, to put it mildly. (If you’re considering opening a business and having a baby around the same time, I recommend that you reconsider.) Starting a business and having a baby are definitely very similar: you’re learning as you go, and you’re exhausted, and you’re terrified, and you’re euphoric, and you stay in that condition for quite awhile. Both were particular challenges for me because I’m not great with change, and restaurants and babies do nothing but change! In the end, though, I think our daughter, June, has been a bit easier for me than Delancey, mostly because she’s cuter. The book clearly details the amount of work, both physical and emotional, that went in to opening Delancey. Are you and your family now able to take more time off? Is it a luxury or a priority? Brandon made every pizza we served from the day we opened in August of 2009 until early 2014, when he decided to take occasional nights off (!) and let one of our longtime cooks, Joe Baauw, run the oven in his absence. That change feels HUGE. But Brandon’s hours are still long, so time off is, and has always been, a necessity. In his original business plan for Delancey, Brandon budgeted to be open only 5 days a week, 48 weeks a year, and we’ve averaged that pretty much every year since Delancey opened. We close for a week at Thanksgiving, ten days to two weeks over Christmas and New Year’s, on Easter Sunday, and for occasions like family weddings. What’s the point of working hard if we (and our staff) don’t get time to enjoy what we’ve earned? How has the combination of managing Delancey and Essex, plus caring for a young child, affected your writing? Do you plan to write another book? Would you consider opening Delancey one of the most challenging experiences in your life? What, if anything, are you still learning from it? My friend Hannah sent me a postcard when we were opening Delancey, and I keep it on our fridge at home, because it’s perfect. She wrote, “I know that Delancey will drive you and Brandon crazy, but it will be the best thing in your lives. The hardest things always are.” I couldn’t have said it better. Delancey, Essex, and having a kid have all made me a very different person from who I was before, in ways that I could have never predicted, and even though the combination of it all occasionally makes me want a stiff drink at noon, I’m grateful for it. So grateful. Do you plan to open another restaurant? 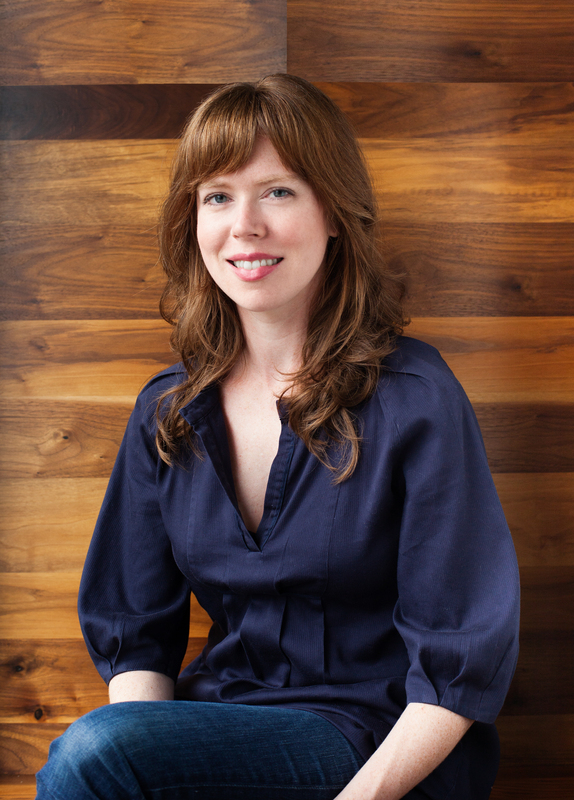 Molly Wizenberg, winner of the 2015 James Beard Foundation Award, is the voice behind Orangette, named the best food blog in the world by the London Times. Her first book, A Homemade Life: Stories and Recipes from My Kitchen Table, was a New York Times bestseller, and her work has appeared in Bon Appétit, The Washington Post, The Art of Eating, and The Guardian, and on Saveur.com and Gourmet.com. She also cohosts the hit podcast Spilled Milk. She lives in Seattle with her husband Brandon Pettit, their daughter June, and two dogs named Jack and Alice. She and Brandon own and run the restaurants Delancey and Essex. "You'll feel the warmth from this pizza oven...affectionate...cheerfully honest...warm and inclusive, just like her cooking." "Wizenberg shines as a writer. She brilliantly turns the ups and downs of their do-it-yourself project into a compelling yet hilarious narrative....Like dipping into a lively, keenly observed diary....Charming." "Entertaining and wondering and plainspoken...full of the hard work and trial and error of emerging into adulthood."